Go to this page to give a general donation or a donation to a participant. The money raised in Ireland through Darkness into Light helps keep our life-saving counselling services free. It enables us to develop our research and broaden our services so that we can reach those who need us, where and when they need us. So far, Pieta House has helped over 44,000 people. €1,000 allows us to provide a full programme of counselling to help one vulnerable person experiencing feelings of hopelessness and despair. 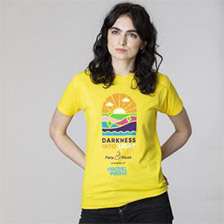 Darkness Into Light also supports international charity partners around the world. You'll find more information about these charities on each individual venue page. I / My company would like to make a donation, can I receive an invoice? We are happy to send invoices to companies within the Republic of Ireland. If you are making a donation to a participant outside Ireland and require a tax receipt, we recommend that you check in with the local charity partner there before doing so to make sure they can issue receipts, as not all venues currently have the capacity to do this. By 2020 we are aiming that most international venues will be able to issue tax receipts, so please bear with us as we work to resolve this issue. How can I make a general donation? Go to this page to give a general donation to the cause. Can donations be made after the event has taken place? Yes. You may continue to donate, even after the event has taken place. The fundraising pages close 30 days after the event takes place.